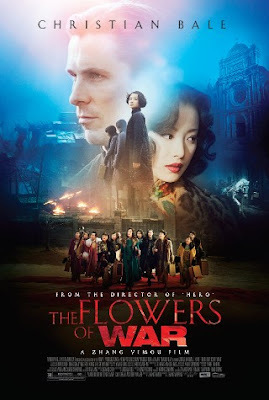 Weird WWII: "The Flowers of War"
The Japanese are besieging Nanking and it is up to an American rogue to try and save an unlikely band of Chinese Catholic school girls and high-priced whores from the horror of their invaders. 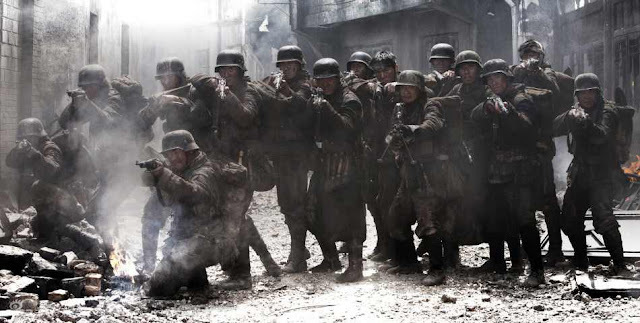 This film has a large budget in all respects but unfortunately it suffers from being a bit Hollywood. Don't get me wrong, it's a powerful glimpse of the nightmare that the Chinese went through under the boot of the Japs but its a bit insulting having to make the "hero" of the story an American. Check out the trailer below and see what you think. The real heroes of the movie!